London: Faber and Faber, 1931. 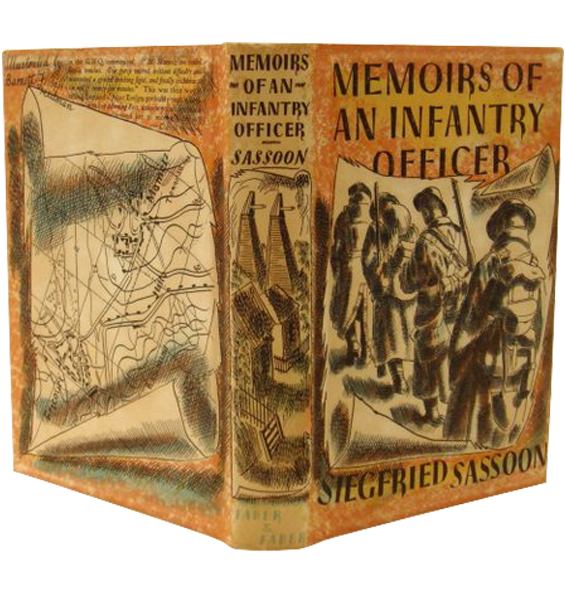 By Siegfried Sassoon with illustrations by Barnett Freedman. Set in Monotype Bembo and printed on English hand-made paper. Number 92 of a limited edition of 300 (320) copies signed by the author and illustrator. Text printed by R. Maclehose. Colour printing by Thomas E. Griffits at Vincent Brooks, Day and Son . 8.75 X 5.75 ins. 312 pp. 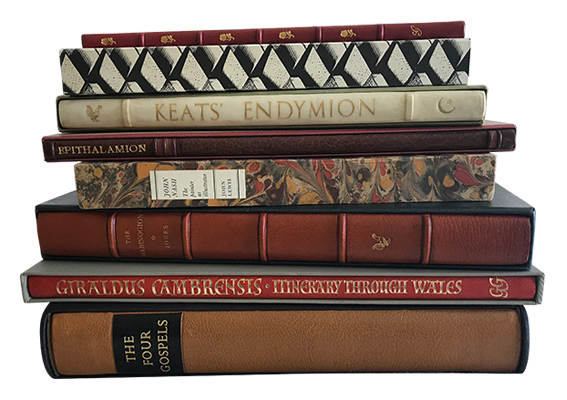 Parchment backed pictorial boards with full pictorial dust-jacket and slipcase. T.E.G., others uncut. Illustrated throughout in colour and b/w. 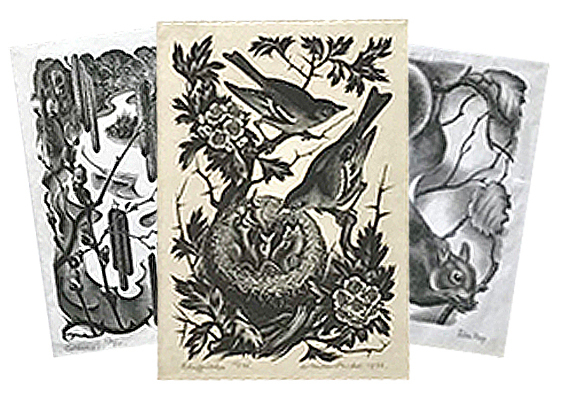 4 full page illustrations on endpapers, 15 full page illustrations from pen drawings with lithographic colour and 23 black and white pen drawings within the text. 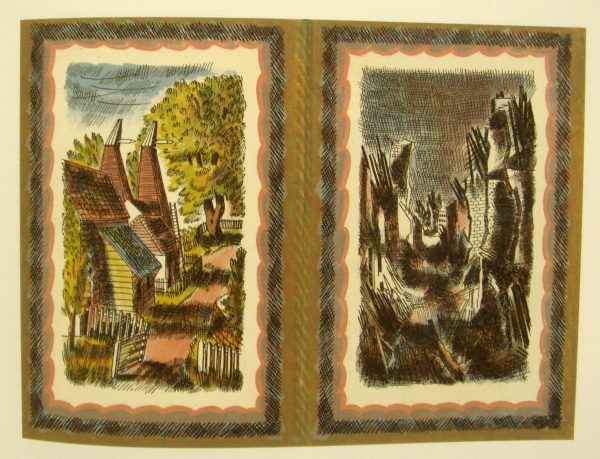 Freedman beautifully captures Sassoon’s juxtaposition of Western Front with home front with lithographs of fruit picking in a Kentish orchard as against the broken trees of a shelled landscape. 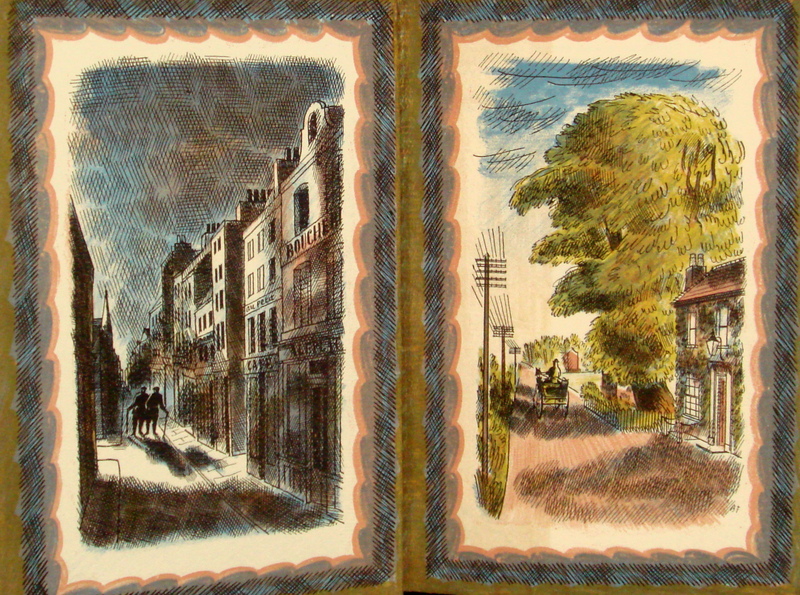 Or on the rear endpapers which contrast the sunny oasthouses of Kent with a shattered French village in moonlight. This is surely one of the most elaborately illustrated books of the 20th century and rightly treasured by collectors. It’s the book which secured Barnett Freedman’s creative reputation. A very fine copy in fine dust-jacket but lacking slipcase.